As you are probably aware, Hurricane Florence recently hit North Carolina and the surrounding states resulting in 36 deaths, widespread flooding and massive damage to homes and businesses. There is an immediate need to assist Masons and their families as the result of this storm. 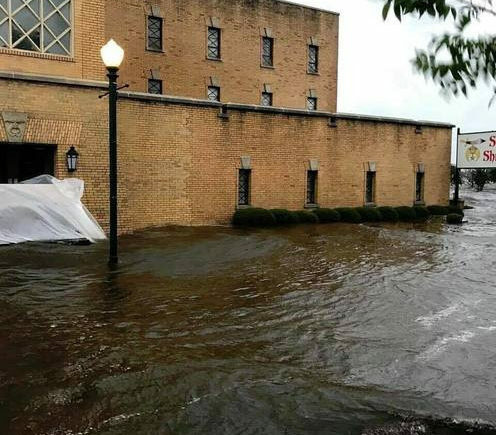 The Grand Master of the Grand Lodge of North Carolina placed an appeal through the Masonic Service Association of North America (MSA) for disaster relief. In response, the MSA established a disaster relief fund for North Carolina, with all donations received to be transferred directly to the Grand Lodge of North Carolina for distribution to those in need. You and I remember the obligation we share related to relief of a distressed worthy brother. However, I hope you will contribute to this relief effort more as a result of brotherly love than from a sense of duty. The way you and I respond to the needs of our brothers and their families defines what we believe “fraternity” means.